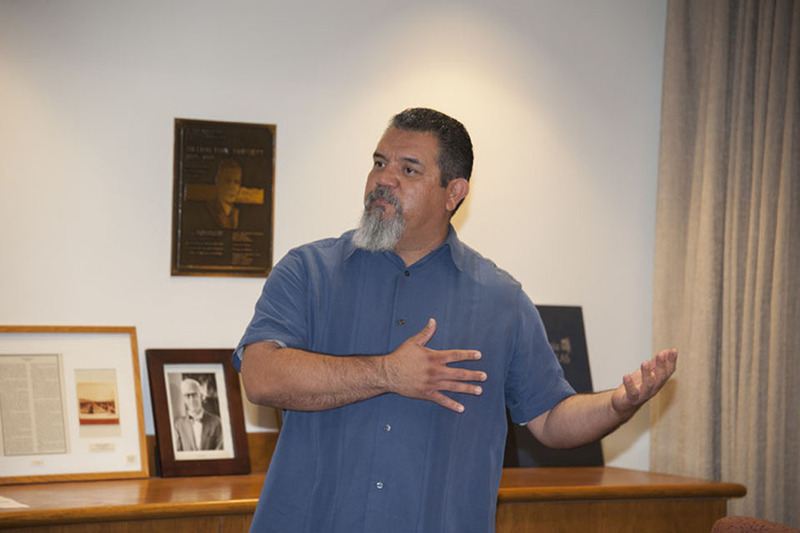 Chicano/a Studies professor Gabriel Gutierrez discusses the anthology at a forum in the Whitsett Room. Photo by Victor Kamont. Chicano/a studies graduate students and members of the public congregate in the Whitsett Room to discuss "Latinos and Latinas at Risk." Photo by Victor Kamont. 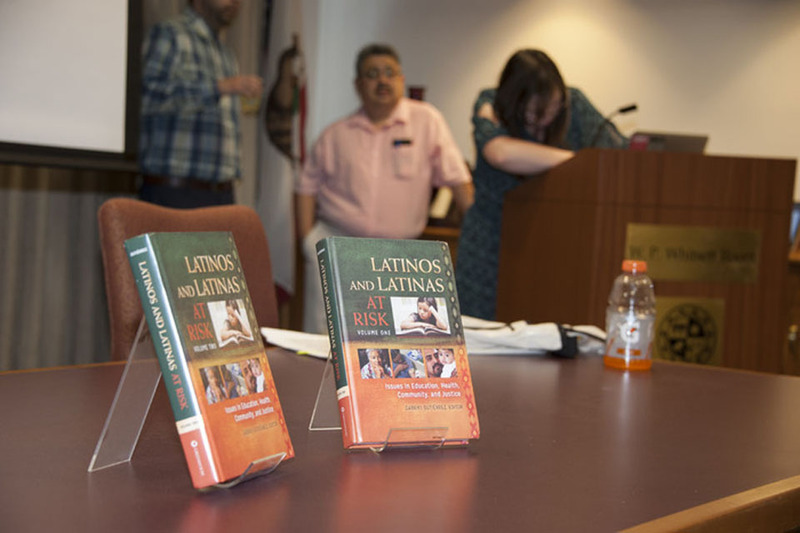 "Latinos and Latinas at Risk" is the new anthology released by the CSUN Department of Chicano/a Studies. Photo by Victor Kamont. “Never judge a book by its cover” is a familiar phrase that can be applied when people hear the word “Latino.” Thanks to a new anthology composed by California State University, Northridge’s Department of Chicana/o Studies, the perception of what “Latino” means may forever be changed. Chicana/o studies professor Gabriel Gutiérrez and a team of 30 graduate students and six colleagues created “Latinos and Latinas At Risk” to give readers the opportunity to explore the various identities and challenges of Latino/a life in the United States through a series of essays by Gutiérrez and his students. The anthology was also a project of the Center for Study of the Peoples of the Americas. Gutiérrez explained that the anthology breaks ground by looking at new and insightful perspectives of Latino/a identity, such as the erasure of indigenous roots with some focus on the Los Angeles community. An example in the anthology is an essay on the Mayan youth that live in Los Angeles. Written by graduate student Flori Boj Lopez, the piece describes the search for identity by the youth in Los Angeles. While the Mayan youth may see themselves as Latinos, they also come to realize that the deeper they look into their heritage, the more complex placing their identity becomes. “Are they American, are they Latino/a, are they Guatemalan or are they Mayan? It’s a fascinating question,” Gutiérrez said. 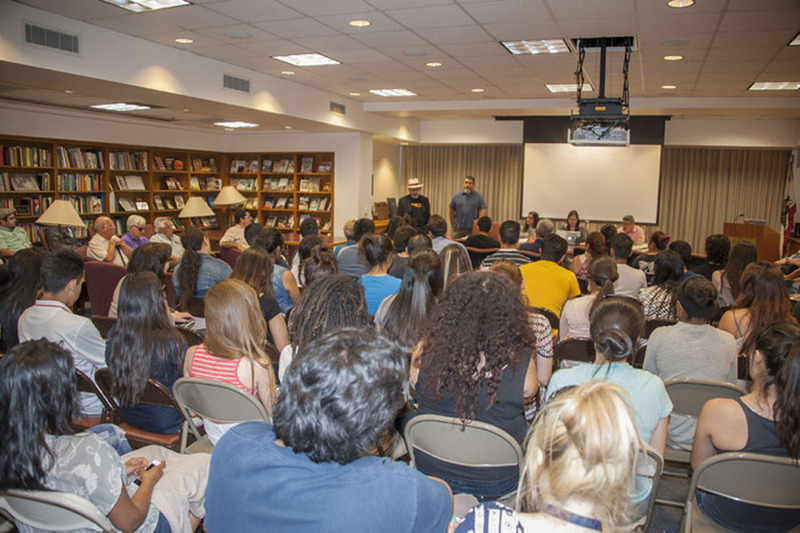 With more than 600 pages of text mainly written by CSUN graduate students delving into the concept of Latina/o life challenges, “Latinos and Latinas at Risk” was an opportunity for them to explore their own understanding of the issue as well, Gutiérrez said.